even reptiles! If it walks on the ground, we can track it. 97% success rate! More than 4,000 pets recovered! and gear for K9 teams. 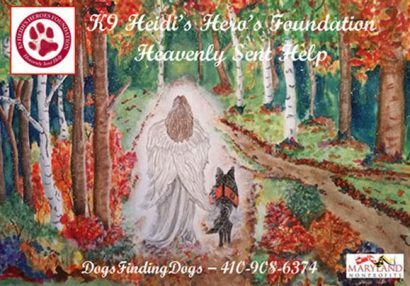 Dogs Finding Dogs is a 501(c)3 nonprofit organization of highly trained handlers and dogs that can track and find a lost pet. When we take on a missing pet case, we stay with you until your pet is found. We never turn down a plea for help! 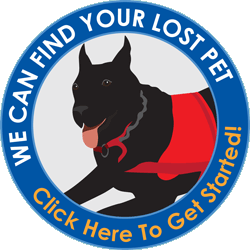 Our goal is to reunite you with your pet as soon as possible. We will advise you on what steps to take and when. 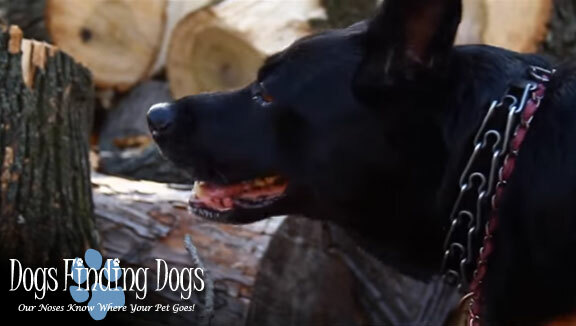 Dogs Finding Dogs offers more than just tracking teams. We can be instrumental in reuniting you with your pet using a variety of methods. Our dogs have gone thru extensive training for tracking on multiple surfaces such as streets, fields, and buildings. Dogs Finding Dogs is also able to track successfully day or night, rain, snow, sleet, wind. Our teams obtain certifications in tracking and trailing through the National Tactical Police Dog Association guidelines. Dogs on our teams have helped aid the police in tracking persons in connection with a crime. They also have successfully tracked lost pets with full recovery of the animal. Our dogs have been honored with citations from State Governors, Delegates, Police and Fire Departments. 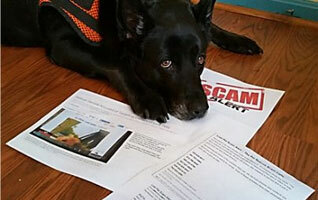 Dogs Finding Dogs strives to connect missing pet owners with legitimate, certified tracking dog teams in areas that we cannot cover. 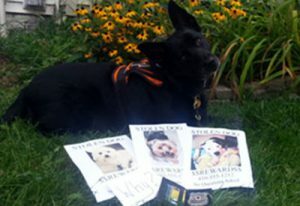 DFD is one of the driving forces involved in the the national organization Missing Animal Scent Dog Network (MASDN). Before hiring a tracking service, please check with MASDN (www.masdn.org), where you can find qualified trackers in your area. If you want to become a certified K9 handler, MASDN can help you get started. 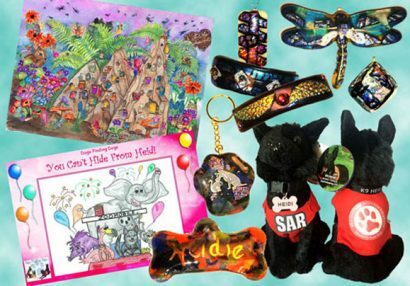 Custom artwork, childrens books, jewelry, hair clips, keychains, custom dog tags, plush SAR dogs, and more! final time. Join DFD and help ease their burdens.